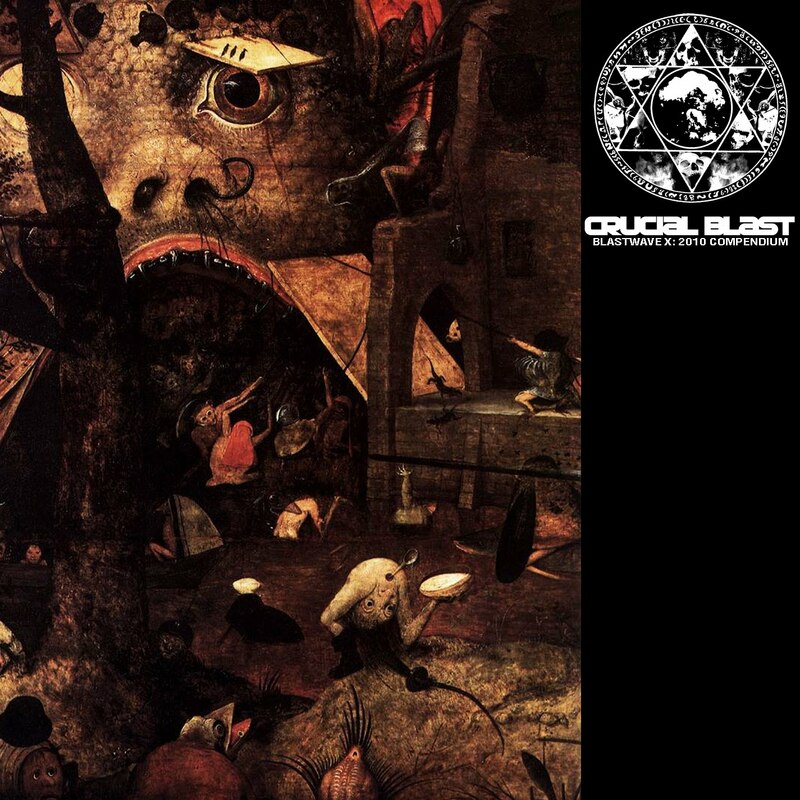 "After ten years of exploring the outer fringes of extreme underground music, CRUCIAL BLAST has amassed a considerable catalog of titles from such reknowned artists as GENGHIS TRON, WEEDEATER, SKULLFLOWER, GNAW THEIR TONGUES, TOTIMOSHI, MONARCH!, SCOTT HULL, SUBARACHNOID SPACE, NADJA, BEHOLD... THE ARCTOPUS, and more, spanning the realms of avant-grind, black industrial, sludgecore, extreme doom, brutal prog, and heavy psych. In commemoration of the label's ten year existence marked by the arrival of 2010, we have assembled a massive digital compilation that features over fifty tracks from our catalog of artists and releases, as well as unreleased tracks from some of our upcoming 2010 releases and exclusive material from black metal/industrial terrorizers NEKRASOV, cavernous black orchestral drone demons ROBE, the dystopian industrial deathdub of LYCANTHROPIC WARHEAD, and a blistering assault of blackened synth dread from THEOLOGIAN."